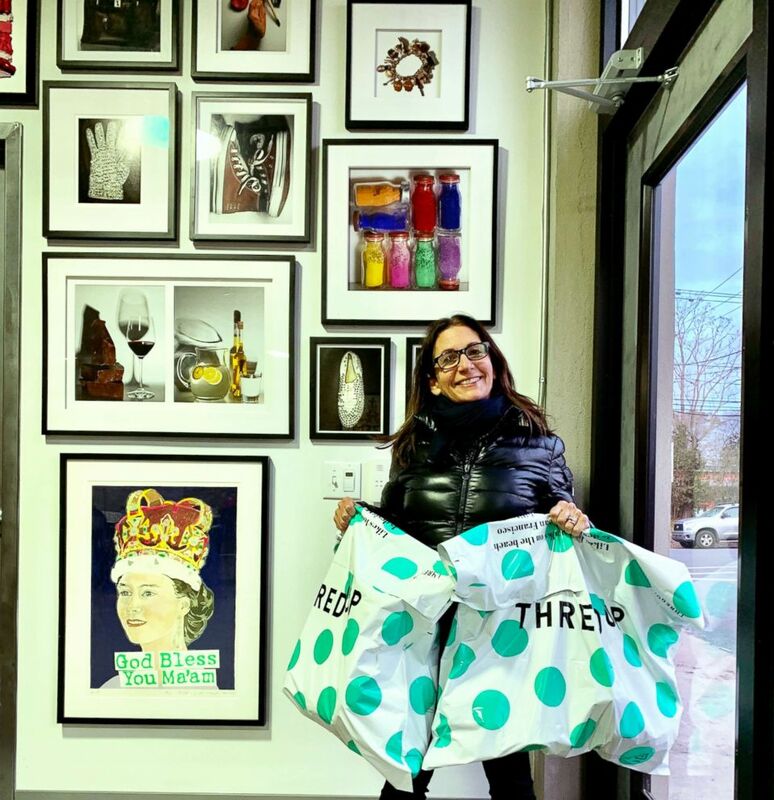 Bobbi Brown just cleaned out her closet. The iconic makeup artist said goodbye to her Jimmy Choos and Louboutins for a year-long challenge swapping out her high heels for sneakers. Brown has been without her stilettos for two months. With ten more to go, "Good Morning America" checked-in with the entrepreneur so she can shoe off her new lifestyle. Instead of glue or 2 sets of lashes, the lashes adhere to magnetic eyeliner. Getting your glam on just got easier. The best actress nominee stunned on the red carpet in a pantsuit and cape. 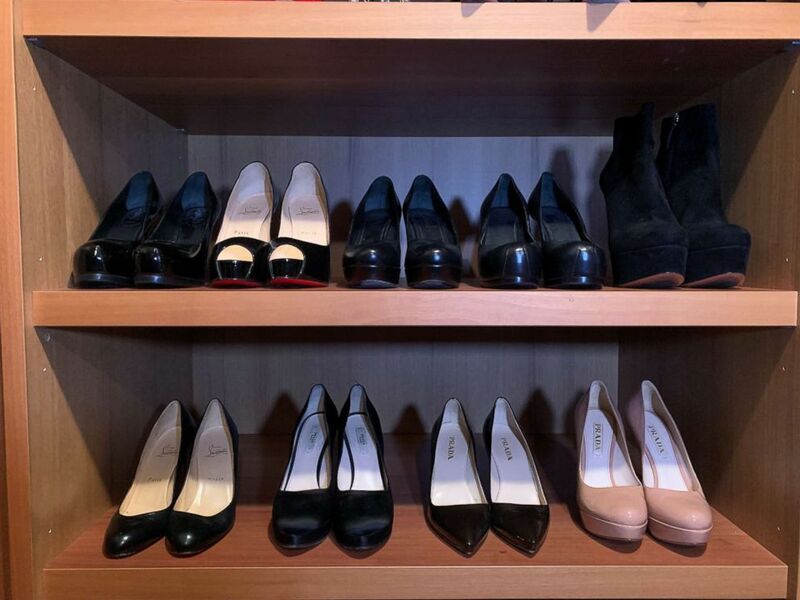 (Courtesy Bobbi Brown) Bobbi Brown's closet before her high heel clean out. 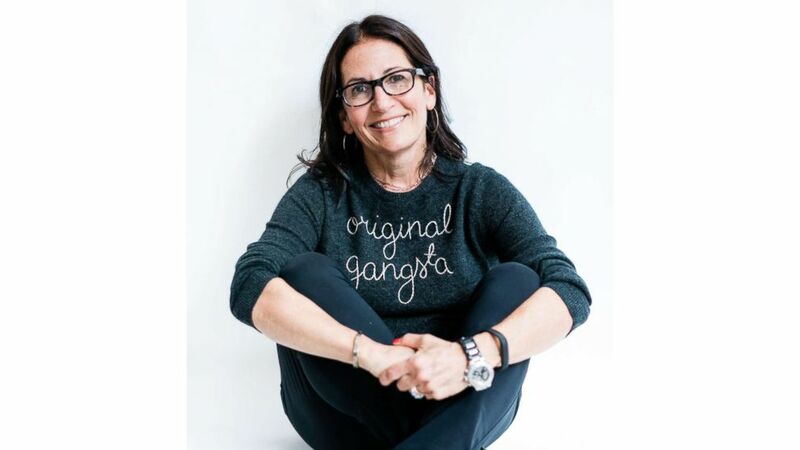 (Courtesy Bobbi Brown) Bobbi Brown's swaps out high heels for sneakers. GMA: How is life without heels treating you? Brown: I'm so happy because it's just easy to get around. I've been wearing sneakers almost everyday except when the weather's not great and I have to wear boots. GMA: Why did you say goodbye to heels in the first place? 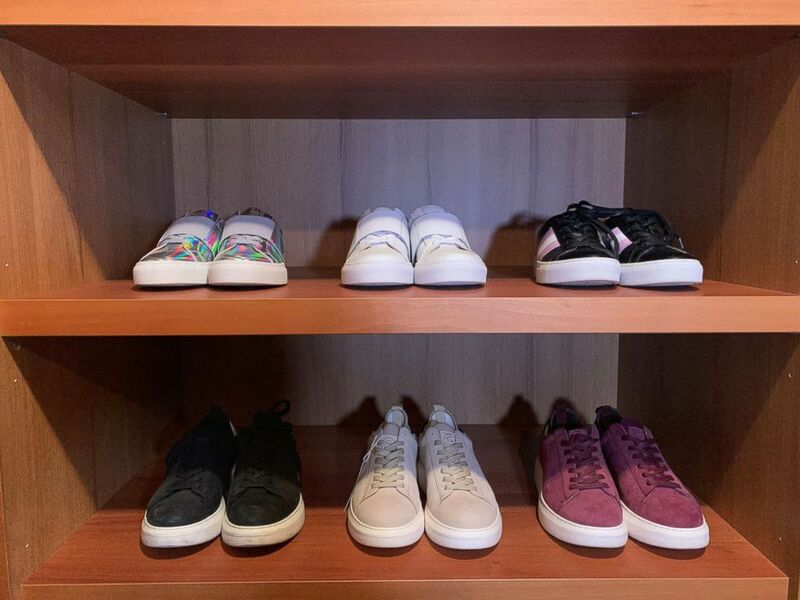 Brown: This challenge came about because I fell in love with the brand the GREATS (sneakers) and I realized I had a closet full of clean-soled shoes that were, Jimmy Choos and YSL and Prada that I wasn't wearing anymore. (Courtesy Bobbi Brown) Bobbi Brown holds her high heel donation bags. She used thredUP to sell them. I did my last book tour wearing sneakers. It made me so happy, it made me feel authentically myself. GMA: What happened to all of your heels? Brown: I sold the shoes on thredUP [a fashion resale website] and all the money was donated to Girls Inc., which really helps empower young women, so it's a win-win for everyone. GMA: Saying goodbye to Jimmy Choos is making me a little sad! Brown: I do like to give my things away. I have this long tradition where my nieces, whenever they graduate college, I ask them to come into my closet and pick any handbag they want. Because when they go to that first or second or third job interview, they have something nice. 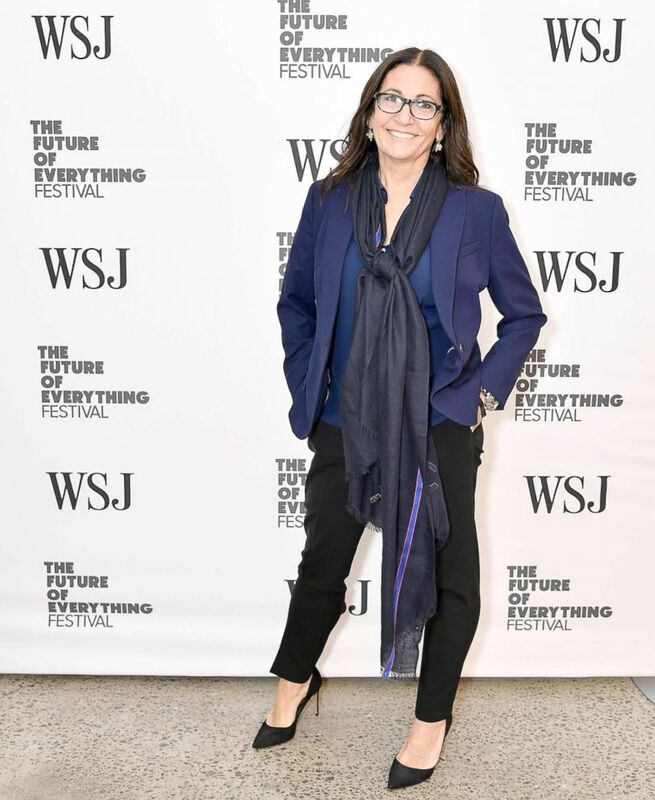 (ichael Loccisano/Getty Images, FILE) Makeup artist Bobbi Brown attends an event at Spring Studios in New York, May 8, 2018. GMA: How would you describe your relationship with high heels? Brown: So being 5' tall I've always depended on heels for events and then I'd always have to change. It was a time in my life where I wore those shoes and I was photographed in them, I carried them, and you know what? They really weren't my shoes they were not part of me. GMA: What have you learned about yourself by doing this challenge? Brown: I did my last book tour wearing sneakers. It made me so happy, it made me feel authentically myself. What I've really learned is I am my most happiest when I'm exactly who I am. (Courtesy Bobbi Brown) Bobbi Brown poses for a photo wearing GREATS sneakers. GMA: Do you think you'll ever go back to heels? Brown: These shoes are so beautiful but they're not comfortable. I challenge everyone out there to make a comfortable pair of pointy high heels with yoga mats inside. When someone's able to do that, give me a call but until then I will be wearing my GREATS.